Home Actresses Who is Amber Scott? Biography, Wiki, Where is The Actress Now? Best known for her role as Maggie Banning in the 1991 fantasy adventure film, Hook, Amber Scott began to register her name among the fastest growing celebrities of her time. Now a grown-up beautiful lady, the American actress has left her fans with so many questions about her career and personal life. Scott was just 7years of age when she featured in the phenomenal movie and she practically kept her fans glued to the screen with her acting skills as well as her astonishing beauty. One physical feature of Amber Scott every young girl her age wished to have was her long silky and beautiful hair that gave her that beautiful and innocent look. Decades after Hooks was released, Amber seems not to have appeared in any film or TV series and her fans wonder what she is up to. Find out more about the beautiful child actress. As stated earlier, Amber Scott is an American actress who played the role of Maggie Banning in Steven Spielberg‘s fantasy adventure film titled Hook. Amber was born in America on the 10th of October 1984. Details about her family, including her parents and siblings have not been publicly disclosed. After graduating from High School, Scott transferred to Trinity College’ (liberal arts college) in Hartford, Connecticut where she graduated in 2006 with a degree. While studying, the actress joined her school’s ‘Delta Psi Epsilon’ sorority, also known as ‘St. Anthony Hall. Amber Scott received her first acting role at the age of seven and it was in the film adaptation of J. M. Barrie’s 1911 novel Peter and Wendy. She shared the Hook screen with actors and actresses like Dustin Hoffman, Robin Williams, Caroline Goodall, and Julia Roberts. Those who watched the fantasy film will as well remember that Scott isn’t the only child actress in the film. In fact, the film appears to have a good number of child actors and actresses. They include Matthew Van Ginkel who was barely a year old when he was cast in the film as baby Peter Pan, Maggie’ssibling and son to Peter Banning. Other child actors in the film include Max Hoffman (young Peter Pan), and Lisa Wilhoit (Young Tinkerbell). All these young actors are now grown-ups with some of them making it really big in the film and movie industry. 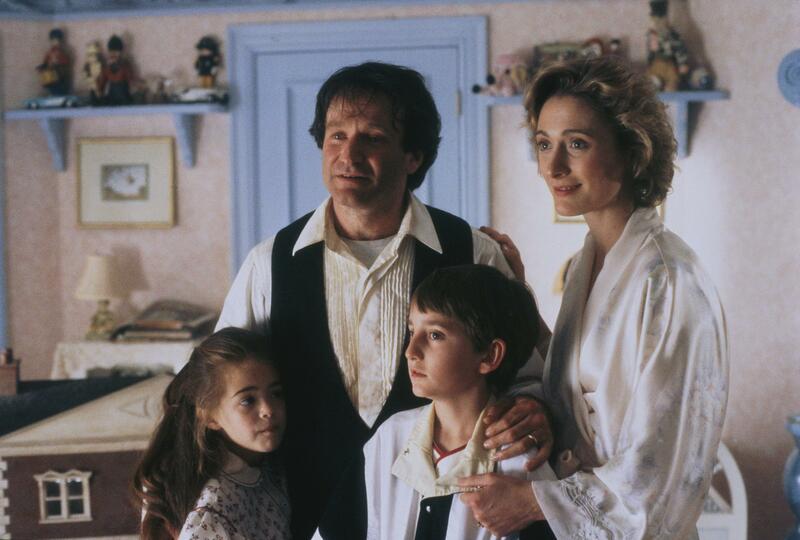 Scott’s character in the movie is the daughter of Peter Pan, a successful corporate lawyer, played by Robin Williams. Her role in the film earned her much popularity even as the film achieved critical acclaim as one of the most popular films in the 90s. While the film soared high, Amber Scott’s popularity grew further and as a reward, she received the ‘Young Artist Award’ for making an outstanding “Young Ensemble Cast in a Motion Picture.” Not only did Amber act in the film, but she also contributed to the success of its soundtrack that included the song, ‘When You’re Alone” originally released by Epic Records. She even made a live performance of the song at the 64th ‘Annual Academy Awards held in Los Angeles. Amber Scott maintained a very low profile after her significant role in Lost. However, she lent her voice in a single episode of a TV series documentary, American Experience. Since then, the actress has not been seen in any TV role or even in the public. Unlike her co-child actors in the 1991 film, Amber appears to have practically kept herself away from the entertainment industry leaving only her legacy as an innocent little girl to live forever in the hearts of her fans. The only time the pretty damsel caught the media attention was in 2015 when her headshot surfaced on the internet. The picture made headlines as viewers of the decades-long film where she acted longed to see what she looks like as a grown-up lady. The picture also raised speculations about her possible return to the big screen but this could not be confirmed as Amber Scott is yet to say a thing pertaining to that neither has she been seen in any production. As for her co-child actors like Lisa Wilhoit who played as young Tinker Bell, is still active in the film industry. She has featured in Whose Daughter Is She?, CSI: Crime Scene Investigation, Cavalcade of Cartoon Comedy and Smurfs: The Lost Village, and many more. The teenage actor Dante Basco is also a grown-up young man who has appeared in hundreds of films, TV/web series, and video games. His latest TV role as at 2019 is in two animated series We Bare Bears, and Victor and Valentino.